Keeping up with the latest design trends doesn’t have to an overwhelming or daunting process. 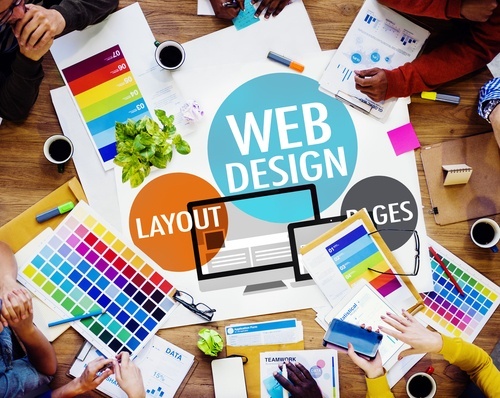 If you are considering moving or redesigning your website on HubSpot, you're in luck! That’s because the HubSpot COS already provides you with easy setup and editing, extensive integrations, personalization and conversion options, analytics and responsive design by default. In short, you get all the ingredients you need to implement and measure the impact of any new trends, including being able to incorporate the most popular 2018 design trends we’re seeing. Shadows add depth to emphasize the elements you want to stand out, with the trend emerging as a direct reaction to the formerly popular flat design trend. Use shadows to make elements appear raised or establish levels of importance – just don’t use too many of them or you’ll defeat the purpose. Now that mobile browsing has officially outpaced desktop, designing for mobile has become crucial. Focusing on mobile’s unique functionalities has resulted in the use of gestures over buttons, micro-interactions and hyper-organized information to produce a sophisticated mobile experience. Technological advances in screens and monitors have made vibrant colors one of the most explosive trends. Many brands are shedding the web-safe color palate in favor of striking hues and distinguishable gradients utilized in equally striking designs. Unexpected scrolling rates and page transitions are being used to add another layer of interest and intrigue. Scrolling is increasingly being linked to element movement, where page elements move at a different rate than visitors do. Page transitions are becoming artistic experiences, with state-change animations seamlessly ushering visitors from one page to the next. Custom illustrations are gaining ground as a stand-out trend to help brands stand out from the crowd. In addition to quickly convey your message, illustrations can grab attention, convey your brand personality and add a playful vibe. Content is becoming even more useful and valuable to visitors, with the proliferation of long-form, multimedia content and downloadable e-books. Making your content print-ready continues to be a plus. Now that most browsers can handle elaborate typefaces, brands are using them in droves. Jumbo text is replacing images, while largescale headers make web pages easy to scan and absorb. Creative, customized fonts and contrasting styles can help retain visitor interest. The trend of unconventional, asymmetrical layouts can be traced back to 2015. As web design continues to push the limits, individual brands are experimenting with asymmetrical layouts that are both distinctive and unique. Floating navigation menus provide a simplified way to keep navigation options literally at your visitor’s fingertips. Navigation bars can appear detached from the rest of the page, following users around as they browse through the site. While certain HubSpot design trends may change over the years, one that has already proven its longevity is growth driven design. Unlike traditional design that produces a finished product based on input from the brand and designer, growth driven design treats your website as an ever-evolving entity based on actions of your users. Continuous improvement is at the core of growth driven design, which consists of quickly launching the site and then immediately analyzing traffic and user habits. You then build out additional content based on your analysis to continuously enhance the user experience, repeating the process for the life of your site. Strong analytical tools and the ability to interpret your metrics to execute inbound changes are crucial for growth driven design to succeed. Growth driven design aligns perfectly with any new HubSpot design trends, as it provides instant feedback on what trends are working and which could use a little work themselves. You have the flexibility to employ any number of trends without disrupting the integrity of your overall site, simply changing things back – or pushing the limits even further – as you continue to develop a user-centric site that continues to bring in results.